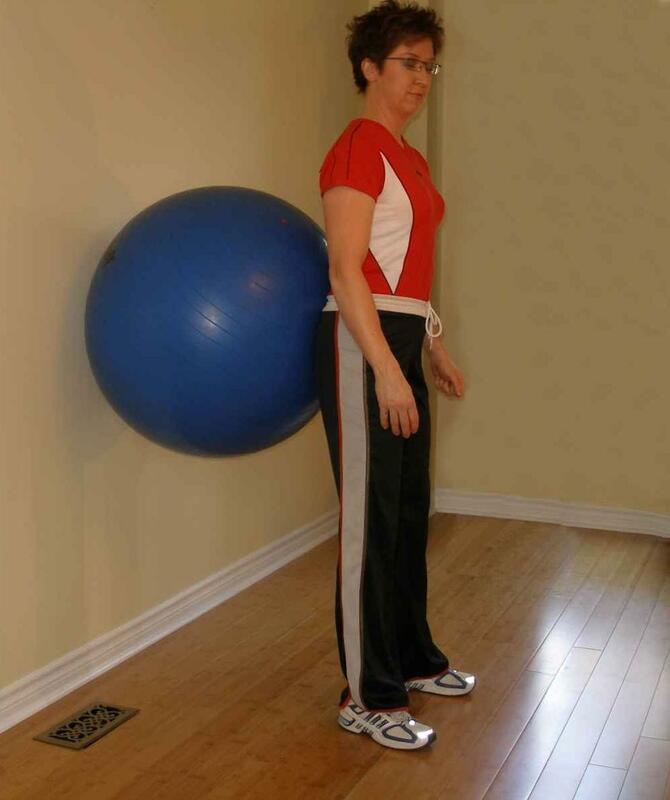 Stand with your back against the ball with the exercise ball at the level of your belt line. Feet should be hip width to shoulder width apart. Lower yourself until your thighs are horizontal. Lower yourself as though there were a stool coming out of the wall that you are going to sit on. Your knees at this point should still be over your feet. Pause at this point and slowly return to the starting position. In order to prevent knee injury it is imperative that you not let your knees move over your toes. As you descend try and keep your knees centred over the second toe. Don't let them weave in or out. You should not have knee or back pain while performing this ball exercise. If you do, consult a physical therapist. Hold dumbbells by your side to increase the resistance. Depending on how you position your feet you can recruit more hip adductors or abductors. With feet closer together, more abductor activity is apparent; with feet further apart you recruit more adductors. 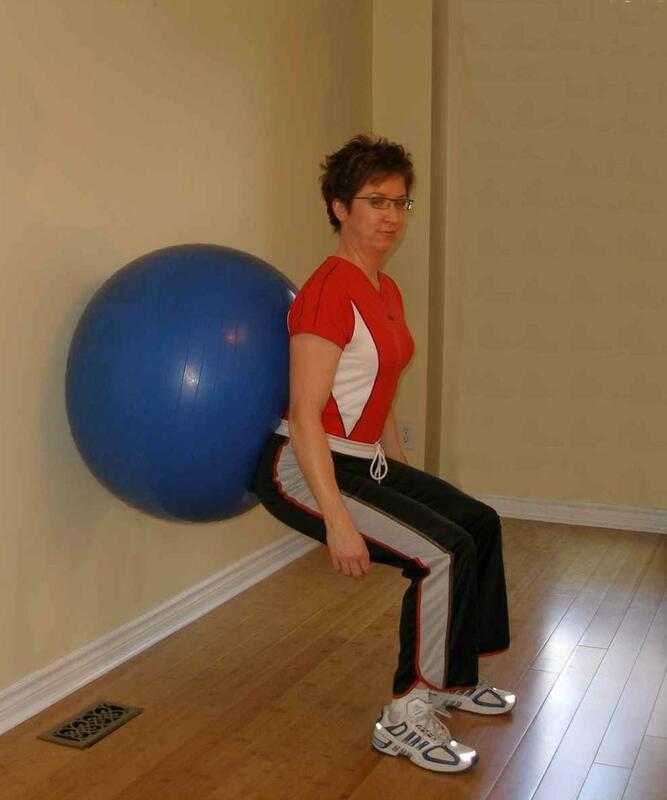 The exercise ball is very helpful in this exercise as it assists in maintaining good form while performing the squat.